Quickly create 3D text. Each photoshop text effect is made to create a realistic and striking way of presenting your text. Copy the photoshop styles and add your text to apply the psd text effects. Hand-crafted collection of 16 Photoshop Text styles (Layer Styles) to help you create unique and awesome text effects for your design project. All the text styles are in layered & fully editable PSD format, so that you can easily and quickly add/modify/remove text in Photoshop to create your own text effects. Each Photoshop PSD stores a sequential series of layers/effects. By just changing text you get the text effect again and again without the need to repeat steps individually. Photoshop PSD's are powerful and great time saver. Photoshop 3D text PSD's allow designers and photographers to create 3D text for increased efficiency. 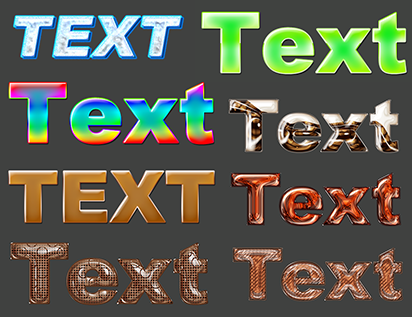 If you do much work with graphics you can certainly benefit from the time saved by having a good library of Photoshop 3D text PSD's. There are 16 3D text PSD's that can be yours to learn, create or play. Feature Quickly create 3D text. Each photoshop text effect is made to create a realistic and striking way of presenting your text. 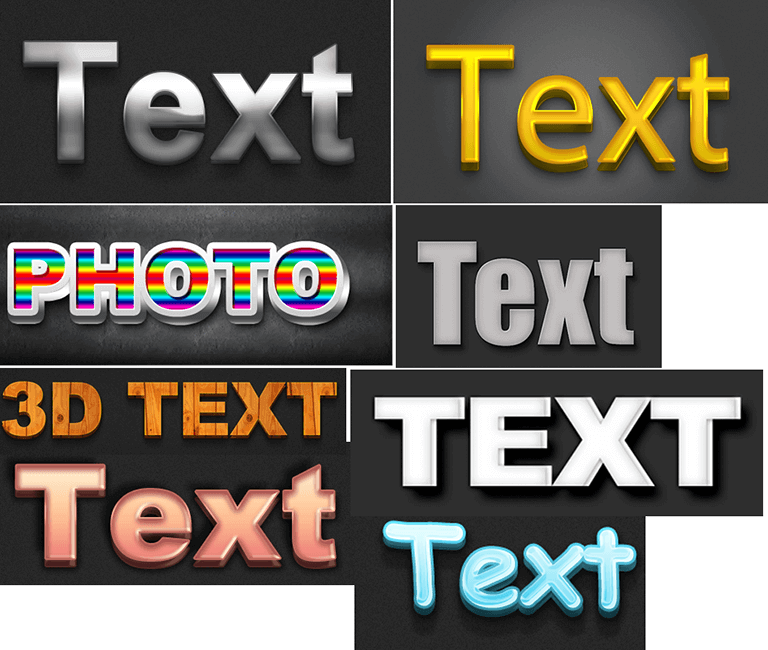 Copy the photoshop styles and add your text to apply the psd text effects.